Closets are always overflowing with clothes, shoes and bags making it virtually impossible to finding anything. Having well thought out closet storage can make it easier to grab things when you are running to lunch, the airport or the couch. When it comes to bedrooms clutter control is essential to find things and fit more in! Create storage areas. Think laterally. Begin with a good clean out. Put everything into four piles - Keep, Donate, Store and Toss. Then structure storage around your existing closet storage and shoe storage so everything is accessible and protected until you need them. This video by closet expert shows how you can gain 40% extra space in your closet. Watch it now! 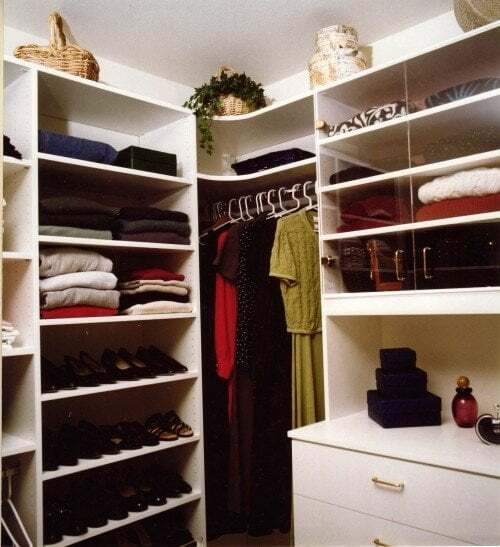 Whether you have a large or small wardrobe clutter control is important to control insects like moths and silverfish that Love Cashmere... strange, they never seem to go for acrylic or polyester. Behind the closet door is a great place for a shoe storage container. The Stylist has a great video called Organizing Ideas: A Bedroom Goes From Stuffed to Streamlined. You can also get some great ideas from MyLifeTime's article Organize Your Closet in Four Easy Steps. This is one of the better articles. Clutter control is all about organization and maximizing space in the closet. Top Organizing Tips For Closets, an article from bhg.com has 15 organizing tips. 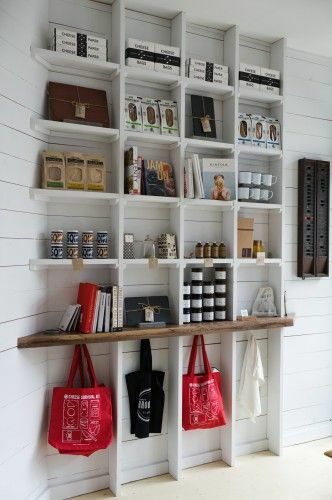 Shelves - can take up storage space, making it difficult to stack or access items. Include a Mirror - hang a large mirror on the wall behind a dresser or on a closet door. Shoe Solution - store shoes you wear all the time on shelves. Store seasonal and special shoes in clear plastic boxes on the top shelf or place a photo on the original box. Create storage for jewelry, scarves, belts, and socks. Double Your Space by hanging two rods; one over the other. Allow 6 inches of clearance above and below each rod. You can read the other 10 organizing tips here. Consider installing a closet system. There are closet systems to meet every budget and control clutter .. and worth every cent if done correctly. Hope you like this article with organizing tips on closet ideas and clutter. Remember; Keep, Donate, Store and Toss. Please leave a comment if you have organizing tips of your own. I always like hearing how others create storage solutions. Join our Free email list here and get free stuff as soon as you sign up!